You want to improve the look of your smile, but does the thought of spending years in Braces or Invisalign seem out of reach? 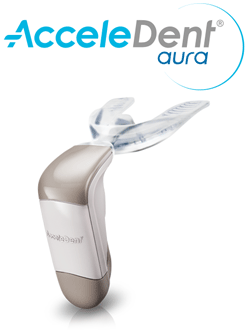 With Center City Orthodontics we offer our patients, AcceleDent Aura and Propel, with which you can now speed your tooth movement by up to 50%! Using this fast, safe, and easy-to-use appliance, you’ll be finished with your orthodontic treatment and achieve your desired smile faster! In our continuous effort to provide the best orthodontic care for our patients, we are excited to include PROPEL® technology in our practice. PROPEL® stimulates bone remodeling, allowing the teeth to move faster and more predictably into their ideal position. This innovative technology allows Dr. Thomas to finish treatment more effectively and efficiently. This means less time in treatment for both patients in braces or using Invisalign™ aligners. 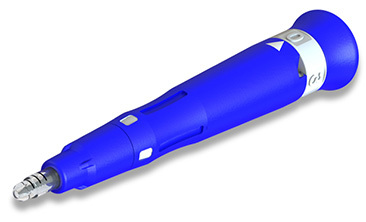 PROPEL® works with the patient’s own biology by stimulating the bone surrounding the teeth. Patients will finish their treatment with exceptional results in less time and with fewer treatment visits. PROPEL® Orthodontics provides innovative devices and procedures to shift teeth as quickly and painlessly as possible. The PROPEL® System can be used in combination with current orthodontic treatments, including Invisalign® and traditional braces, to help move teeth into their desired position 50% faster than teeth can move with Invisalign® and traditional braces alone. Dr. Thomas is a PROPEL® Orthodontics provider, so you can enjoy a perfect smile faster than ever before. The PROPEL® System uses a procedure called Alveocentesis™ to make orthodontic systems, such as Invisalign® and traditional braces, more efficient. Alveocentesis™ stimulates the production of alveolar bone in the maxilla and mandible, the upper and lower jaw, so as teeth shift into alignment, the bone that holds teeth in place can better adjust to shifting teeth. An increasing number of adults are seeking the variety of orthodontic treatments available to straighten their teeth. Many adults can receive orthodontic treatments without the worry of bone growth or development and still achieve beautiful results, but severe malocclusion, such as an overbite or cross bite, may provide an added concern during orthodontic treatments. In addition to less bone development, adults heal more slowly, and their teeth shift at a slower rate. PROPEL® Orthodontics can help with all of these factors while on your journey to achieve a perfect smile. Ask Dr.Thomas if you are a candidate for Propel and accelerate the journey to the smile of your dreams!